During the cowboy age, the 44 and 45 caliber rounds were among the most favored rounds in self-defense. Now, these are two of the most popular high powered rounds and are still fantastic for self-defense. 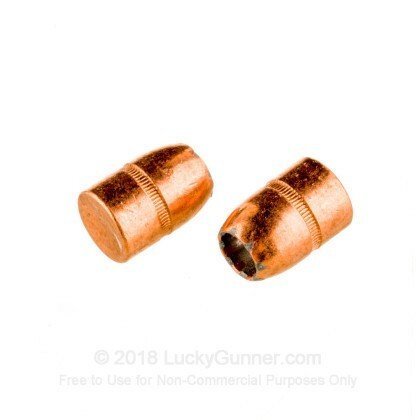 These 44 caliber bullets can be used for 44 Russian, 44 Special, and 44 Magnum and will provide top notch stopping power and damage. 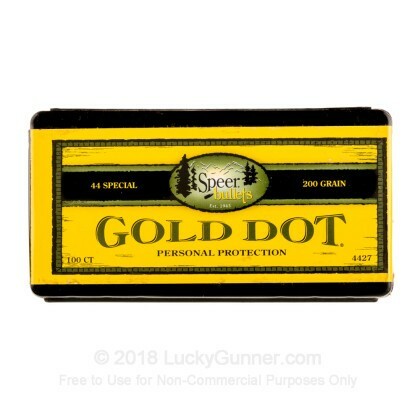 When you get Speer bullets, you expect nothing but the best. Speer has become one of the premier companies in ammunition manufacturing, recognized even by the FBI. 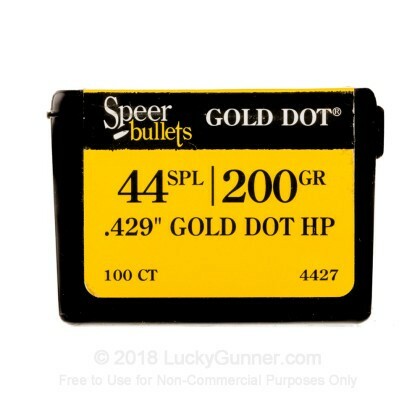 Expect only quality, accuracy, and reliability from these bullets. With these 200 grain, Speer Bonded, jacketed hollow point bullets, you will be able to stop any threat, be it a person or even a bear. They feature massive damage, stopping power, accuracy, and reliability, all of which are necessary for a great self-defense bullet. 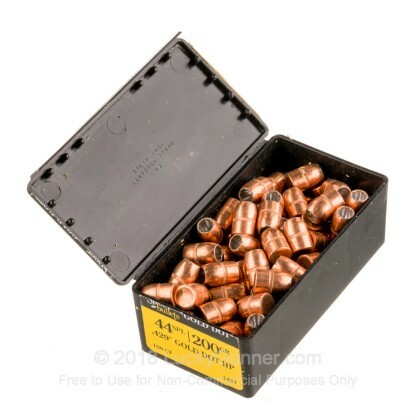 With 100 of these bullets, you are set for any crisis that may come your way.